Originally this post was going to be about how I'm the Aussie Jack Bauer (minus the willy and American accent , and CIA affiliation and the cheating imminent death to save the world thing) because I wanted to show you the true unedited version of what happens in my life in an average 24 hours. Sadly, in reflecting back on the list I made of every single thing I did in the last 24 hours so that I could write a rollicking blog post full of humour, and excitement and death defying stunts I've realised I am one of the most boring people on earth. I wasn't called upon once to save the world from a nuclear attack, to unravel a conspiracy or to save the Prime Minister from an assassination attempt. So while I was waiting for something EXCITING to happen I got on with my actual life. And I tidied my house which is not very secret agent like is it? I finished two more mini tote bags. The very colourful one is for Little P and the other one is a surprise for someone special. I bet Jack Bauer doesn't have time to make tote bags in between saving the world. Gotta say I loved the idea of these cakes when I saw them on Pinterest but they look like cupcake wrappers full of dirt and the addition of crushed up Oreos to the icing was a big miss because it feels like you're eating dirt too. Epic fail. If I was a CIA operative I could use these as a torture tool. 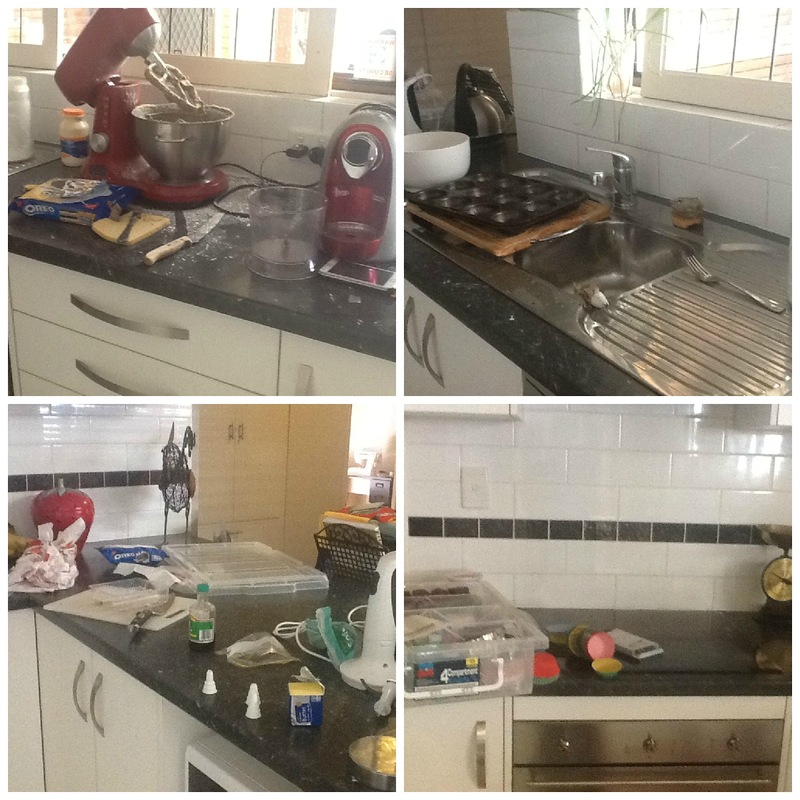 And I ask you- how can frosting a dozen cupcakes make this much mess ? I've been steadily working on quilting Superheroes 1 and I don't like the way it's turning out but conversely I'm too lazy to unpick it. At this point I'm hoping that a very hot wash will antique it up to the point where you can't see all the cruddy mistakes. My back up plan is to quilt Superheroes 2 differently to see if I like it any better. All the rows on No 2 got sewn together yesterday because I was sorely tempted to chuck Number 1 in a corner and ignore it for a while. And I'm still waiting for that phone call asking for my help to save the world from imminent danger. Oh my gawd, that's the highlight of my day! I love your Shay/Jack Bauer mash-up photo! Also, you get more done before breakfast that most people do all week. (Yes, I stole that from the Marines and improved upon it). Love how the superheros are coming out. Those Oreo cupcakes look delicious, and the totes are "totes adores," as the kids say, these days. I'm not sure how I feel about shortening words like that, but it kind of fit. I presume that by the time you get this comment the call will have been received and you will be out and about saving lives, and felling villains with cupcakes thrown from twenty paces. Well they may not look as exciting as you wanted but I'd buy one! A sign saying what they are and they would be scoffed up in no time I'm sure. I knew there was a reason I don't like cooking - its the cleaning up. I seriously need a minion to do that and I might be more inspired. Know where I can find a minion who'll work for free? Oh and a quick happy dance here as I finally mended the hole in my handbag lining on the bus on the way to work today. Luckily I stuck my hand in and checked the lining first though as I found some scissors and a lipstick I didn't know I even had in my bag! Lucky I wasn't trying to get on a plane or they would have ripped my bag apart trying to confiscate my scissors I reckon! You crack me up. Epic Fail seems to be the saying of the moment in our house too and You Got Owned whatever that means. I'm sure my day is more boring than yours i'm currently ignoring housework and reading blogs. Sounds lie a good day, apart from the tidying up bit. Saving the world is seriously over-rated! That was quite a lot to cram into 24 hours and was totally more interesting than what I did. Except for the part where I was breaking the law. The superheroes quilt I'm sure will be just fine! Don't sweat, it's only fabric and thread. Seriously, that picture cracks me up. 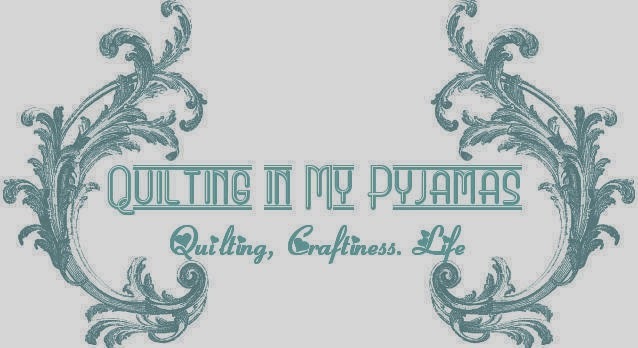 Your life looks a lot like mine, minus the sewing productivity on this end. Baur boy doesn't have time to make cupcakes either! I am pretty sure the laundry multiplies when you close your eyes. Every little mistake is made in love. The person who snuggles in the quilt will never feel the "error" They will feel the warmth and love that was made for them! Agent Shay, you made MY day, even if you may not have saved the world! And dang about those cupcakes! They had such promise! you forgot that you need to be near death, at least once, and go to the Emergency room (which in reality is a minimum four hour ordeal - yet he always gets in and out of there in like 15 minutes). And you need to be tortured .. and you have to kill at least a few terrorists or friends or something. and what about the romance factor. Back to reality, your day seemed quite successful and productive. How could Oreo icing be anything but delicious? Totes and superheroes. You may not get the call to save the world...but honestly-you are saving your blogger friends world with every post you make. Thanks for making me laugh yet another time. And for the quilts . I think they both will be loved, no matter how the quilting turns out. Do you have a pattern for the toe bags? They look georgous. 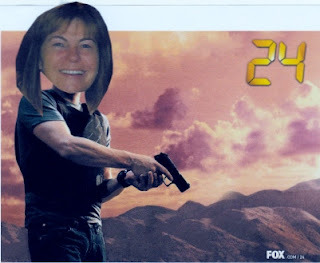 I've just discovered I'm the only person who didn't know what 24 was. Just goes to show what an educational blog you have. Nope I also dont know what 24 is, but guess that just means I am more boring then you? I had to miss a work function Friday night (DH was working) only to find out the CEO was on the dance floor dancing gangham style...I had to ask what that was! Yep I think your life rocks! Hey those cupcakes dont look too bad to me, I mean they are chocolate, how bad can that be! Superhero quilts will be much adored, small boys are not quilt police. Lovely day all round. Who wants to go out and save the world when you can stay in and sew? How cool having a dog at work! I worked one place where we sponsored a GD puppy and he only came to visit twice! What is it with the chores anyway? Check out those biceps!! Woo Hoo!! I must say that I am worn out after reading all you've done...and my day has just started. You work it girl! I think you have been saving the world... They say to be the change you wish to see in the world, and you are a loving, kind person - even though your head is propped up on top of a gun weilder. You use your energies for good. That's gotta be making a difference. It cheered up my day - and that's a good thing. As for the washing, well if you will insist on wearing clothes to work, what do you expect?! Fun lunch bags, want one. You're right, so wrong! Good cause though. I used to work through the corridor from a guide dog, who was quite the most spoilt dog ever, but very cute! Oh, you're having a Jack Bauer day off. I always wondered what he did on those days. Thanks for filling us in. btw, love your tote. I didn't know Jack had time for that. I'm in absolute awe of those killer biceps! Thanks for injecting a very needed laugh into my day. It may not be on par with saving the whole world, but it certainly made my day. If you're toting that gun, I'm staying away. look how bad you are with a rotary cutter. No one will be safe. Either way, great job on all your accomplishments....I don't think anything with Oreos could possibly be bad!! I love the pink & brown tote with doll fabric, so cute! I don't know who Jack Bauer is (and have a sneaking suspicion that I should), but I don't think your life is boring at all!